via, Clockwise: Vogue UK Nov. 2010, Valentino, Stella McCartney, Chloé, Chanel. 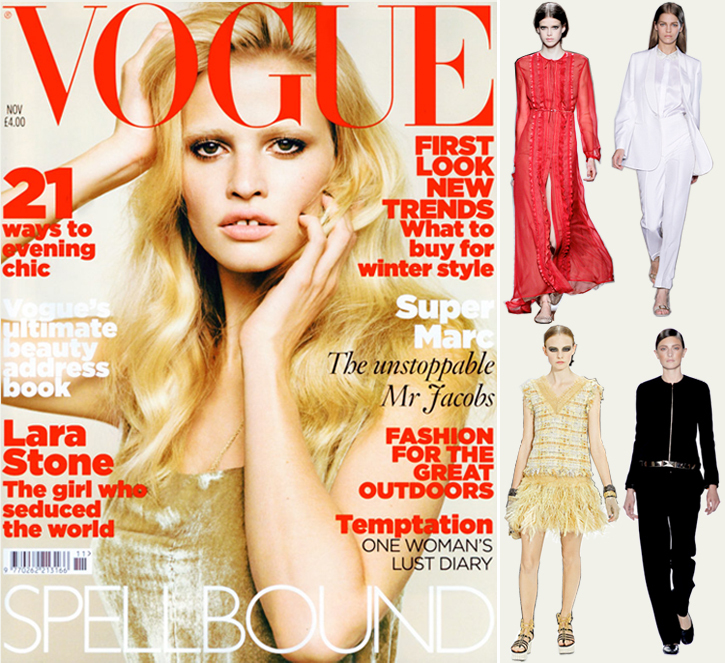 Lara Stone on another gorgeous cover, and some favorite looks from Spring 2011. So hard to narrow down from so many gorgeous collections, but I'm having fun trolling Style.com like a maniac.